Is it time? Does your startup need a pitch deck? By no means do I have the cure for this challenge; I hope I didn’t get your hopes up. Prioritizing and re-prioritizing is something I spend an obscenely large amount of my time doing. It’s worthwhile, if annoying. Instead, I’m going to talk about when is the right time in between the coding, the customer validation, the sales, the ideation, the networking, and all the other thousand things you do as a founder, when is the right time to start working on your pitch deck. First, What is a Pitch Deck? A pitch deck is a series of presentation slides that “pitches” your company to potential investors or other audiences. The pitch is meant to introduce this new company and promote the opportunity to be involved in its growth. It tells the story of your startup in a compelling and exciting way. It looks at your company holistically, from a 30,000 foot view. The deck covers key topics like your customers challenges, how your product solves them, the size of the market, the competitors already in the space, and how your company is going to win. Sometimes but not always it used used to raise funding. Other common things people look for out of pitch decks is: partners, mentors, cofounders or team members, to win a pitch competition, to get into an accelerator program etc. Sometimes but not always the pitch deck is presented live to an audience, other times it’s just used as a visual document to snag a one-on-one conversation. Figuring out when and how you’re going to put together your company’s pitch deck is sometimes an unclear endeavor. It’s a bit like in the children’s story ‘Goldilocks and the Three Bears’. One porridge is too hot, the other too cold, and the last one is juuuust right. There is a time in your business when it might be too early to build your pitch deck, a time when it is definitely too late, and a period of time where it is the PERFECT time to get your startup’s pitch deck hammered out. We’ll go through them all. When people ask me this question, I often say “it’s never too early to start your pitch deck!” But that is usually because I am talking to a founder of a company that has made it to a certain stage in their business. Though, it’s not as far along as you might think. So essentially, it’s too early to start a pitch deck if you DO NOT HAVE either a) a fleshed out business concept, or b) an operational startup at any stage. All other situations, you’re either right on-time or too late. There are many reasons why a pitch deck can be extremely helpful to a young company. Having a pitch deck in your back pocket means you can engage, excite and impress partners, future investors, team members, and mentors whenever and wherever you meet them. It means you can use the storytelling and messaging employed in your pitch to lead yourself and your team down a consistent sales and marketing path where your website, social media, and all company touchpoints are aligned in how they tell your story to customers. Let me start off by saying, in life it really is never too late for anything. My absolute favorite quote is “The best day to plant a tree was 40 years ago, the 2nd best day is today.” To me, it means: It may feel like you screwed up by not planting a tree 40 years ago. If you did you could’ve enjoyed its fruits and shade today. But, you’ll never get a better day than today to fix the error and ensure the that tree grows for the next 40 years can be enjoyed fully in the future. So, if you find you’re “too late” for your pitch deck, do not despair, because today is the 2nd best day to get started. If you have a business concept and you’ve thought through who your customers are and why they would want to buy from you, and you have a rough idea of how customers are solving that problem today, that is a great place to start on your pitch. If you have a business concept and you have done some analysis on the market size, your competitors, and some preliminary pricing and financial projections, even better! Let’s get that pitch deck started! You never know when you’ll run into a potential co-founder, team member, partner, mentor or future investor. You feel like you know your stuff. You’ve been working on this thing for a little while now. It might still just be you cranking away, maybe you have a couple cofounders and team members along for the ride. You’re either working on your product, or have a Beta out to get user feedback. You feel confident about what you’re building and are starting to look to the future. When will you need capital to grow? Would pitching in a competition give you good exposure? What kinds of big partnerships would catapult your success moving forward? You need to start getting out there and talking to people. Make connections and build relationships for today that you can lean on tomorrow. Maybe it’s not time for funding yet, but you bet an investor impressed with your pitch deck now is more likely to take your call in the future. Things are moving! You’re got traction and have seen success. You may or may not have raised money from friends and family to seed your business and get you to where you are now. You’ve got steady customers, and you can pay all of your employees, awesome! But, you’re starting to see that growth plateau, or you’re thinking that a solid infusion of capital will help you reach a new market, take market share from your competitors, or solidify your position. It’s time to get serious about involving some heavy hitters with the finances and know-how to support your business as it strives for the next level of success. Ok, if you’ve already raised money, you’ve likely put together a pitch deck before. You also may have had a mentor or investor give you feedback/advice on revamping and updating it. If you’re looking to raise again, you’ll definitely need to do this. But you already know that, this isn’t your first rodeo. Even if last time you didn’t know what the hell you were doing! It’s time to perfect your pitch, chock full of appendix slides covering the #s behind the success you’ve seen. What am I Preparing For? What is a Pitch Deck Used For Anyway? I can’t tell you how many clients come to us looking for a perfect pitch deck at the last second. Literally at the last second. I once had a client ask for the deck to be completed the next morning. That is unreasonable. We need time to get to know you, you business, ask questions, make sure we know your startup and branding and story inside and out, and of course time to create the slides themselves, along with your vital feedback and requested revisions. We work closely with out clients to fine-tune and perfect their deck. It is not done in hours, it’s done in days. (That, said we can usually turnaround decks in 7-10 business days, which is plenty speedy for many situations). So, thinking ahead about which of these needs you might have and when you might have them, can be the key to making sure you have enough time to work through your pitch deck. That’s whether you work with us, another specialist, a general designer or do it yourself. Give yourself time to do it right! Its Time for your Pitch Deck! If you’ve decided it’s time for your startup to have a stellar pitch deck, that’s great! This is an exciting time. If you face any issues as you begin working on your pitch deck, don’t hesitate to reach out.  Pitch Deck Fire specializes in pitch deck design and presentation preparation and we are always excited to work with new clients like you!